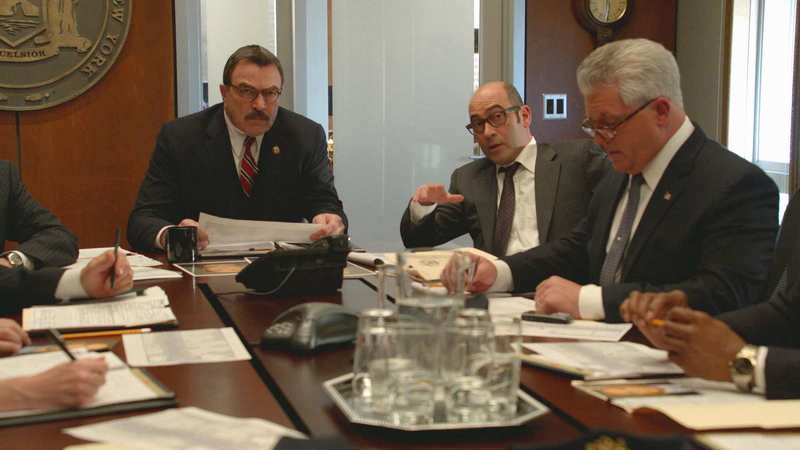 Frank (Tom Selleck, left) and DCPI Garrett Moore (Gregory Jbara, right) meet with the Organized Crime Control Bureau Chief (guest star John Ventimiglia, center). Photo Credit: Screen Grab/CBS © 2012 CBS. All Rights Reserved.